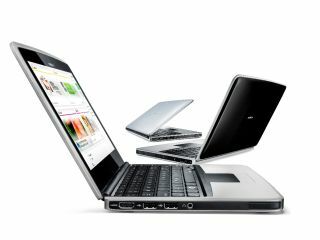 Nokia has apparently seen such demand for its forthcoming Booklet 3G netbook that it's looking to release another device in the near future. The Economic Daily News in China is reporting the hardware manufacturer is working overtime to fulfil the orders for the new Booklet 3G, forcing Nokia to think about a new device already. Should the new netbook be approved for launch, it's likely the UK release date will be well into 2010, as the current Booklet 3G has yet to appear. The new netbook from Nokia is running Windows 7 and packs Intel's Atom processor - and the headline stat is it's rocking a 12 hour battery as well. Whether the next model is using Windows 7 as well, or the Maemo OS making its debut on the N900 isn't mentioned, but there are definite rumblings that this could be the case. Either way, with Nokia using it's R&D prowess to push into the netbook market things could start to get pretty interesting for those looking at a high-spec, low cost laptop.